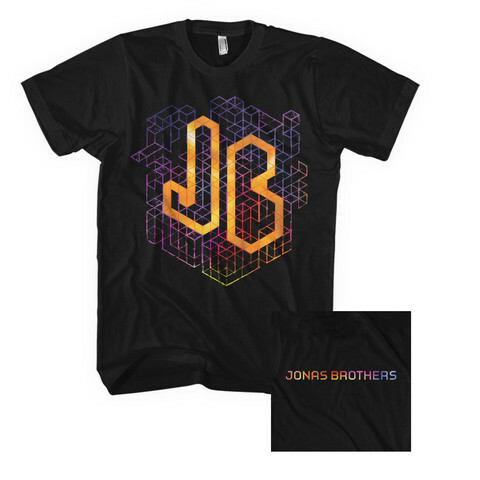 This 100% combed cotton, slimmer fit, Black T-shirt has the new Jonas Brothers logo on the front. Jonas Brothers is printed on the back. It's available in adult small, medium, large, extra large and 2xl.